The treatment provides complete protection for three weeks. First, the mosquitoes on site are eliminated through the spray. The spray also leaves a residue on the foliage and other vegetation in your yard to prevent the mosquitoes from returning. Each service treatment will include four basic steps. First, we will inspect the environment and identify the mosquitoes and other pests. Second, we will look for potential breeding sites. Third, we use larvicide to treat breeding sites and remove any standing water by dumping pots or buckets. Fourth, we apply a mist to the ground cover, trees, lower canopy branches and bushes, as well as the turf to provide a thorough treatment to eliminate the adult mosquitoes. We will also apply treatment to the dense areas of native vegetation, the wood lines and undergrowth. The treatments are based on the property’s environment and landscape. Am I required to have an onsite consultation? You can schedule one at the same time as your first scheduled treatment, but you are not required to have a prior consultation. Mosquitoes breed in standing water. What do you do to address that? First, we will eliminate all the standing water that we can by emptying pots or vessels that may collect rain waiter. Then we treat remaining standing water with the B.T.I. Briquets or Altosid Pro-G. Each of our services consist of a system of integrated pest management strategies. How long will it take for you to complete the treatment? The majority of the treatments take about 30 minutes. However, if you have a larger yard or property it may take up to an hour or more. Am I required to be at home when you apply a treatment? No, you do not need to be home for a treatment. However, it is important that your domestic pets be kept indoors and that we can access the fenced areas on your property. We will email a reminder notification 24-48 hours before the scheduled appointment—unless you request a different arrangement. After completing treatment, the technician will leave a courtesy card stating the time and date that the service was completed. How often will treatments be completed? The organic compliant products require treatment bi-weekly. However, a treatment using conventional products will only need to be applied every 21 days. Learn more about our service options here or contact us for a free consultation. What types of products do you use? What ingredients are in the products? We offer a conventional spray that is long-lasting and highly effective. We also offer an organic option that is effective and environmentally safe. The products we use will be based on the preferences of our clients and the needs of the property based on the target pest, exposure, environment and current existing conditions. What makes a product “organic compliant”? In order to qualify as Organic Compliant, a product must follow the regulations rules set forth the National Organics Program or NOP. These make sure that it is safe for use in and around food crops, and maintains organic compliance properties where is that required. Is the organic compliant product as effective as the conventional product? Yes. The organic compliant product is a labeled pesticide and is designed to actively kill adult mosquitoes. The residues from the product will last up to 14 days of protections. It does break down more quickly than the convention product, which means that you need to have bi-weekly treatments. The conventional product has the same active-kill protection, but the residual barrier is effective for up to 21 days. Do you offer a “hybrid program” and what does it consists of? The hybrid program uses both organic compliant and conventional products. The wooded and less used areas receive a conventional treatment, while the high traffic areas receive the organic product. Is there a safe option for my vegetable garden? The organic compliant product can be safely used in your garden, if deemed necessary. Are the treatments safe for my plants, ornamentals, landscaping and tree? Yes. Both the organic and conventional products are safe for your landscaping and all types of plants in your yard. We will not apply them to your flowering annuals or perennials or open blooms, since these attract beneficial insects. Are both products safe for my family, pets, chickens, other wildlife or ponds? Yes. Both the conventional and organic products and all other services are safe for people, your pets and wildlife. We do REQUIRE you to allow the products to dry before you resume outdoor activities. For conventional products, you will need to wait for between 45 minutes and 1 hour. The organic compliant spray has a wait time of 15-30 minutes. Dry times may vary based on the current conditions outside. Will the spray affect my neighbors, their pets or their property? No. The product solutions are water based, which means they will not drift when applied properly. Do the products have a smell? Will it go away? The organic compliant product has a sweet, minty scent. This usually lasts one day. The conventional product does not have an odor. Can the treatment take care of whiteflies, ticks, ants or fleas? Mosquito Tek is licensed to provide a wide variety of different types of pest control in your home and around your property. Contact us for a free consultation. What if it rains when I am scheduled to receive treatment? If it rains, your appointment will be rescheduled. The office will notify you of the new appointment information. What if I do not feel that the treatment worked? 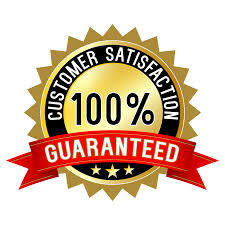 Mosquito Tek offers a comprehensive guarantee. If you are not fully satisfied with the level of service or the effectiveness of the treatment, we will respray at no additional charge. If we are unable to correct the situation or you choose to cancel service, we will fully refund any monies owed. The Mosquito Tek Service Agreement does not require a commitment or a contract. 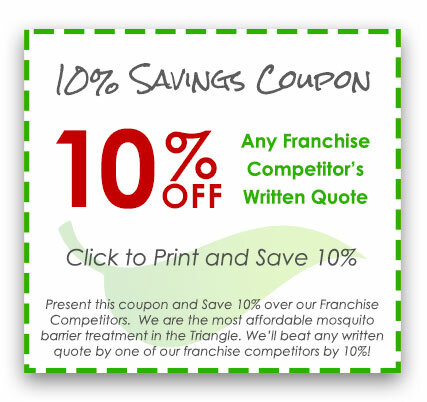 Does the guarantee apply to all your mosquito control programs? 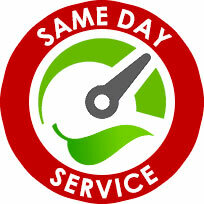 Do you service commercial accounts, common areas, daycares or pool areas? Yes. The organic compliant product allows us to safely treat daycare and childcare facilities, restaurants, and outdoor dining areas as well as public recreational areas. Please contact Mosquito Tek for a free consultation and more information. Services start at $45-$49 per treatment application. There may be neighborhood pricing available. Contact Mosquito Tek for a consultation. There are a number of payment options. You can pay by credit card over the phone, by check both through the mail and in person. We also accept cash. If you want to pay online, look for the Intuit Payment link on your invoice. How can I stop mosquitoes from biting me? The most effective way to stop mosquitoes from biting you is to use an effective mosquito repellent. Look for a repellent that either contains DEET or Picardian. Both of these have proven effective at preventing mosquito bites. Dressing in light colored clothing can also help. Is there a way to prevent mosquitoes in my home? Making sure that your yard is draining properly and that there is no standing water around your home can definitely help. Another option is have a mosquito control treatment applied to your yard. This creates a barrier which stops new mosquitoes from entering your yard and eliminates any adult mosquitoes currently there. The Zika virus is a mosquito borne illness that is also sexually transmitted. For most people, it causes mild flu like symptoms for a few weeks. It usually clears up on its own. However, if a pregnant woman contracts it can cause serious birth defects in the fetus. Currently it is not in the United States, but you should be careful if you travel to countries that have the Zika virus. What are signs of the West Nile virus? The West Nile virus starts as a headache with a fever. For many patients it does not become severe, but it can lead to encephalitis. If you experience a severe headache or high fever, you should seek medical attention. There is not treatment for West Nile virus, but controlling the symptoms can help prevent lasting complications. Are mosquitoes attracted to certain people more than others? There are certain people that may attract mosquitoes more. People with a higher metabolic rate tend to attract mosquitoes. People who have been exercising or who have recently had a beer may also attract more mosquitoes. People who are heavy or pregnant also attract more mosquitoes. What are diseases that mosquitoes carry? Mosquitoes can carry a number of diseases including malaria, the Zika virus, the West Nile virus and Yellow fever. They can spread Dengue, Chikungunya and Saint Louis encephalitis. Many of these diseases are not known to have current outbreaks in the United States, but a breakout may happen if someone who is infected comes to the United States. Are mosquito control programs effective? Mosquito control programs are effective at both stopping mosquitoes and the spread of diseases. Most cities in the United States have some type of mosquito control program in place in their public areas. Extending that to your yard can help control the overall mosquito population. When is the most common time to get bitten by mosquitoes? Mosquitoes are the most active at dawn and at dusk. Often this is the best time to be outside during the summer. If you know you will be outside during this time, especially near swampy areas, be sure to apply an effective bug repellent. If you like to exercise at this time, you will be a mosquito magnet. There are number of ways to reduce the itchiness of a mosquito bite. You can take an antihistamine to help with it. Applying a steroid cream can help. Aloe vera gel can help. Another option is applying rubbing alcohol to the bug bite. Another option is to apply ice to the bug bite. How much water does a mosquito need to breed? A mosquito can breed in just a capful of water. Mosquitoes may also lay their eggs in a swampy area and the eggs will hatch when it rains and there is enough water for the larvae to survive. It is important to clear your yard of any items that may collect standing water like old tires. Be sure to cover your sand box or make sure that it can drain well. Currently, there are about 175 species of mosquitoes in the United States. However, there are more than 3500 species throughout the world. One of the most common mosquitoes in the United States are called house mosquitoes. Southern mosquitoes are another common species. Fleas cannot fly. They do not have wings. They can jump great distances and are considered the second-best jumper in the animal kingdom. Fleas can jump up to 7 inches high and more than a foot away. They will jump from victim to victim or from the ground onto a passing victim. What diseases do fleas carry? Fleas can carry a number of diseases. They are known carriers of cat scratch fever. They can also spread tape worms to your pets if they pet them when they are trying to scratch. They can also spread haemobartonellosis. Can fleas spread disease to humans? There are a number of diseases that fleas can spread to humans. The plague is often spread by fleas. Typhus is another illness that humans can catch from fleas as is tularemia. These are not as common as they once were, but they can still make you very sick. How do fleas get in my home? Fleas often come into your home on a pet. However, you may bring them in if they jump on you in your yard or when you visit a place infested with fleas. You may also bring them home in laundry or other items. If you go somewhere that has an issue with fleas, you may want to take steps to prevent yourself from catching fleas. Can my pet catch fleas in my yard? Fleas may come into your yard on wild animals like squirrels. They will hop off and crawl up onto grass or other plants waiting for a victim to walk buy. Then they will jump onto it and prepare to feed. The fleas may jump on your pet or onto you. No. Fleas will feed on humans, but they do not stay on people the way they will stay on your pets. The bites can be annoying, but you do not need to worry about treating your family for fleas in the same way that you would need to worry about treating your pets. Do flea eggs stay on my pet? Flea eggs are not sticky. They will fall off your pet. This means that they may be in your carpet, on the bedding and on your furniture. This is why treating only your pet will not clear up a flea infestation completely. You will need to treat your home too. How can I protect my pets from fleas? The best way to protect your pets from fleas is to treat them with a flea preventative. This may be an oral medication or drops. Treating your yard for fleas is an extra barrier that can protect your pets and your family members from the complications of a flea infestation. How long can fleas go without eating? Adult fleas need to eat within four days. However, fleas in the cocoon stage can go up to 155 days without eating. The long period of time is why it is important to thoroughly clean you your home after you find fleas on one of your pets. How do I identify a flea infestation? The easiest way to identify a flea infestation is to check your pets. They may be scratching more often than normal. You may be able to see the fleas on your pets. If you have flea bites around your ankles, this is another sign that you may have an issue in your home. What types of ticks spread diseases? Several different types of fleas spread diseases. The American dog tick spreads Rocky Mountain spotted fever. The blacklegged tick spreads Lyme disease. The Lone Start Tick can spread Ehrilichiosis. The Gulf Coast tick can spread rickettsiosis. What are common tick-borne illnesses? The most common tick-borne illnesses in the East are Lyme disease and Rocky Mountain spotted fever. Each region has a different set of illnesses that they will have to deal with. For example, Colorado tick fever is more common in the Rocky Mountains. Can I get a tick in my yard? Ticks can be anywhere outside. They may end up in your yard after they detach from an animal that runs through your yard. They may hatch in your yard after a female tick lays eggs there. They like areas with long grass or bushes that they can crawl on. When is the most dangerous time for ticks? Ticks will bite through the spring, summer and fall. Seed ticks (very small ticks) will bite the most in the spring, and female ticks will bite more in the fall as they prepare to lay eggs. Areas with overgrown grass are more likely to have ticks. What are signs of a tick-borne disease? Many tick-borne illnesses start with similar symptoms that will start with a headache and a fever. Then there may be aches and pains that accompany this. Often the diseases will affect the joints and cause severe muscle aches, especially if it is not treated. The most obvious sign of Lyme’s disease is the bull’s eye rash that will develop after the initial fever. However, about twenty percent of cases do not develop the rash. Aches and pains that do not clear up are another sign. The doctor can run a blood test to confirm it. How can I tell if I have Rocky Mountain spotted fever? Rocky Mountain spotted fever starts with a high fever that will last a few days. After that a spotted rash will develop on the ankles and wrists. The rash may spread up the arms and legs of the patient. Rocky Mountain spotted fever needs to be treated with antibiotics. How can I prevent being bitten by a tick? Applying bug spray that contains DEET will help prevent ticks from biting. Wearing long pants and sleeves can also help. Tucking your pants into your socks and your shirt into your pants will prevent ticks from finding a place to attach. You should also check yourself when you leave tick infested areas. Can ticks spread diseases to my pets? Yes. Pets are susceptible to disease that ticks can carry. For example, dogs can contract Lyme’s disease and will have similar symptoms to peoples. They can also pick up Tularemia and Rocky Mountain spotted fever. If you find a tick on your dog, and it starts running a fever, you should take it to the vet. Do ticks need to have a blood meal? Ticks need a blood meal each time it molts or moves through the different stages as it becomes an adult. The female tick also needs a blood meal in order to lay eggs. Ticks can feed on humans and animals. Some ticks prefer to feed on one type of animal, while others are not as picky.